Rich Brooks is founder and president of Flyte New Media, a web design and marketing firm in Portland, Maine. He is a nationally recognized speaker on entrepreneurship, Internet marketing and social media. He presents and blogs at flyteblog.com on web marketing topics such as social media, search engine optimization, email marketing, blogs and building websites that sell. He is currently an Expert Blogger at FastCompany.com and a regular contributor at SocialMediaExaminer.com. He is a founder of The Agents of Change Digital Marketing Conference, an annual conference on search, social & mobile marketing. He is the “tech guru” on WCSH Channel 6’s evening news show, 207, and teaches web marketing and social media courses for entrepreneurs at the University of Southern Maine’s Center for Continuing Education. Narrator: Jason provides an extremely unique service, Deal Evaluator. Are you interested in a property outside of our network? Need a second opinion? No problem. Let our experts evaluate the deal. Find out more about it at JasonHartman.com. The price is only $50. Jason Hartman: Hey, it’s my pleasure to welcome Rich Brooks to the show. He is the founder of Flyte New Media and also the host of The Agents of Change conference. And he’s got a lot of experience, dating back to 1996, right after Al Gore invented the internet – joking of course. And he comes to us today from Portland, Maine, a beautiful place. Rich, welcome. How are you? Rich Brooks: I’m doing great today. Thanks for having me. Jason Hartman: Yeah, well it’s good to have you. So, tell us a little bit about what it is you do, and then let’s jump into some of the best ideas for marketing today. Rich Brooks: Sure. Well, I run a company called Flyte New Media. We’re a web design and internet marketing company. So, for the last 16 ½ years or so, we have been designing and developing websites. And when I just started, it was literally out of my living room in my apartment, and as I started people started asking questions like how do I get found in AltaVista, which of course dates me. And so I started getting into some of the search engine sites, where I could help with the marketing side of things. And then I had some clients and one of them sent me an email witch pictures in it. And they said how did they put pictures in it? So then I started to figure out email marketing. I mean, this was a long time ago. And then over time somebody was really into Howard Dean having a blog. He’s like “I should be blogging. I want to blog.” So then I sat down and figured out blogging, which turned out to be probably the best thing I ever did for my own business and then after that it was social media and then after that it was webinars and mobile marketing. So the business itself continues to evolve, but basically it’s all about helping individuals, businesses and non-profits, increase their online visibility and drive more traffic to their website, and then take that traffic and turn it into leads in business. 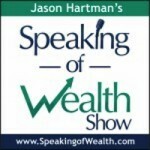 Jason Hartman: So, talk to us about some of the hottest trends and the newer things nowadays that people are doing very successfully. You help infomarketers and authors and speakers, and everybody wants to get more exposure and more attention. Rich Brooks: Sure. Well, these days, and I do a lot of presentations and that sort of thing, too, so I know what it’s like to try and get those jobs. So, there’s a lot of things going on right now. And some of it are brand new tools. And, obviously, we can talk about things like Pinterest or Twitter’s not so new anymore or webinars, but the bottom line is a lot of this just comes down to these are new channels. The bottom line is right now the coin of the realm is content. It’s about establishing your credibility, it’s about creating content that’s gonna attract people to you and then using the channels that they use. So, as far as new tools go, one thing that I would say is if you’re starting to plan a new website, one of the most important things you need to is make sure that it’s mobile friendly. Because, even though most of your customers and prospects are still gonna be coming on a desktop, a bigger and bigger percentage of people are coming on a mobile device. And when I say a mobile device, I’m talking about a smartphone or more likely a tablet. And we’re seeing across the country and across the globe a higher percentage of traffic coming through mobile devices. In fact, some of the forecasts say by 2014 we’re gonna see a flip and in 2014, at some point, most of the world’s web traffic is gonna be delivered onto a mobile device. Now, I do think that’s true more outside the US than inside the US because we’ve already got our desktops, so there’s less of a need for it. Many of us work in an office, where in a lot of other countries, that may not be the case. And the fastest way to get online might be using some sort of mobile device. But the bottom line is you can’t ignore that. And just like you wouldn’t build an office where most people couldn’t get in, you shouldn’t be building a website that most people can’t access. So, one of the things you absolutely want to do is make sure that you have that mobile friendly website. I also think it’s a combination of finding things like search engine optimization and social media, so finding the balance there. And everybody’s business is different. I’m working right now with a speaker who’s a psychologist and he’s an author, speaker, he’s pretty well known but he wanted to kind of take it to the next level. And so, for him, a lot of his audience is on Facebook, which isn’t surprising, but a lot of the stuff is geared towards parents and educators. So, we’re doing a big push on Facebook. The first thing we’re doing is we’re taking a look at some of the advertising opportunities on Facebook because you can really narrowly target people. So, for example, in this case, he wants to get in front of parents. So one of the first things that we should be doing is targeting people based on their age and if he thinks that moms are gonna be more of an audience than dads, then we can also target by gender. We could also go after just specific parts of the country, and we can go after people who have already liked things that are similar to what he offers. Maybe there are other psychologists and speakers who he “competes” with, and if they’ve liked them in the past, we can target our advertising towards them. Or if they like Parents Magazine or any other type of parenting magazine, we can show ads just to those people. So by more narrowly targeting people, we can get in front of them, do some advertising, get them to like the page, and then start the process of engaging by writing updates, creating updates, creating things to share that people are more likely to like, comment and share with their friends. And that’s how we’re gonna continue to grow that audience on Facebook. Jason Hartman: Okay, so Facebook advertising, let’s talk about that a little bit because you brought it up. My businesses advertise on Facebook. I don’t know, it seems very hard to calculate any real ROI, frankly. They say you get a lot of impressions, but the massive number of impressions, and I kind of wonder if they count mobile in that, you don’t get an impression on mobile on Facebook yet, although I’m sure they’re building a platform for that, but it just seems like the number of impressions versus the number of likes, comments, engagement and conversion is relatively low. Rich Brooks: Again, it all depends on what you’re measuring and what your goals are. So, for example, we work with the local group here called Raising Readers, which is for the promotion of reading and literature in young children. And for them, we did some advertising on Facebook that was only geared towards getting likes on a page. Once you get the likes, then you can appear in the news feed, so that’s one of the first steps that you want to do. And I’m not sure what you’re advertising is doing or who you’re targeting, but to take a step back, the reason I use Facebook for Flyte and for some of our clients is only to build our list. I don’t see Facebook as an end strategy and I never have. And that’s true for all the social media platforms, because Facebook could go the way of Myspace or AOL or Friendster. We may be talking about Facebook in 5 years as a dinosaur – we don’t know. Jason Hartman: It’s so hard to imagine that. I just can’t imagine that. Rich Brooks: I agree with you on one level, but what if Facebook screws up? What if other platforms come along? Already, we’re seeing that kids are opting out of Facebook for Instagram. Actually, I have two daughters, 9 and 11, and we don’t let them on Facebook, but even if we did, their friends are all on Instagram. That’s their social network. Now, admittedly, Facebook bought Instagram, but it could be something different that comes along and it can be really fast. There was a time where Facebook was a blip and Myspace was everywhere. So you never know what’s gonna happen next. Now, I’m not suggesting that it is, but I do always tell my clients that you should have an exit strategy for Facebook. And so, what I mean by that is you should be using Facebook to engage your audience, whether you’re doing that through ads but ultimately getting into the news feed and getting them to like comment and share on your stuff, but I need to be getting them to a point where they are giving me their contact information. So, if Facebook were to disappear tomorrow, I could still continue the conversation with them. And it’s interesting – so I do a lot of public speaking, especially around social media and I go to some of these big conferences about social media, and I’ll be sitting in the speaker room where everybody’s got their laptops open, and there’s some gurus there, much bigger names than me – not that I’m a big name, but much bigger deals than I am. And they’ll be sitting there and they start kind of bragging. But they don’t brag about how many Twitter followers they have or how many Facebook fans they have or anything like that. They all brag about the same thing, the size of their list. And when I say that, I mean their email list. So even if they’re known for Facebook marketing or known for Twitter marketing, it’s all about getting people to leave those platforms, to visit their website or opt-in page to sign up for an email newsletter. Because, once you’ve got people to sign into your email newsletter, then you really are owning that conversation. And, sure, they can opt out at any time and spam filters can prevent them from seeing some of the stuff you send, and that’s all true, but the bottom line is – I know from my own experience – if I post something to Twitter about an upcoming conference – I’ve got an upcoming conference, I’ll let you learn whatever it is, here’s where you can buy tickets. And I have about 10,000 followers. I send it out to my 10,000 followers through Twitter and then I also send it out to my email list about the same size, 10,000, I’m lucky if I get 2 or 3 people to buy from my Twitter list. But I would expect to get 25 to 50 people to buy from my email list because everybody on that email list is gonna see that email or just about everybody. But, on Twitter, only a fraction of people are gonna see it, and they’re being bombarded by 1000 other messages at the same time. So, getting back to your question about the ROI of Facebook, what is your goal I would ask you and anybody else who said that. I would say are you looking for email signups? Then what we have to do is we have to give them an incentive. We have to create a custom tab for them on Facebook. We have to do some advertising or some engagement tactics that are gonna get them to visit that accustomed tab on Facebook which is off your business page where there’s an email signup. So, for example, we were talking before about this upcoming conference I have called Agents of Change. We give away one free digital pass every week to one subscriber. And the way we do this is we make the offer – we’re like sign up like us and get signed up for the giveaway and every week you’ll be entered to win this contest. So, people come to the page, they follow the links, they like our page so we can get into their newsfeed, and they give us their email address as well – so it’s a 2 part thing we require. And then once that happens, then we enter them into the contest, and once a week we pick somebody out and so they get a free pass, but in the meantime we’re building our list. So, that’s one tactic that you can use. Our incentive or our email bait is the free pass. But, for somebody else, it might be an e-book or a discount in the store. Whatever it is, whatever you have to offer, you can use that as an incentive to get somebody to join your list. Facebook just becomes the medium of that incentive. Jason Hartman: Right, yeah. Okay, good points. Alright, what else should we be covering? Rich Brooks: Well, let’s see. One of the problems that we talked a little bit about, we talked a little bit about social, one of the things that I see very often is people spend an inordinate amount of time on their social media marketing, but first of all they don’t move people to their website, so one of the things you need to do is you need to make it easy for people to get to your website. So, if you are engaging them through search or social or any other way, you need to make that transition to your website as easy as possible. One thing I talk about is the importance of branding. So, on sites where you can brand your social media profile, and I’m thinking primarily of Facebook, YouTube and Twitter where you can kind of give it a look and feel of your brand as opposed to say Pinterest where the most you can do is put up your logo right now. You need to make sure that the look and feel of your social media outposts are complimentary, if not identical, to your website, so when they leave your Facebook page and visit your website, there’s no disconnect. They immediately know that they’re in the right place. But the other thing is, very often people don’t spend enough time on their website. They think that, okay, we’ve got somebody in my website, now of course people are gonna buy. And that’s just not the case. And when I say buy, I mean take a desired action. It could be clicking on a buy now link, it could be – if you’re a professional speaker – about getting somebody to request your information because they’re looking for a keynote, or if you’re an author, or if you’re selling an information product, getting them to buy or sign up for an email list, whatever it is. So, there’s a lot of problems that I see on an ongoing basis on websites. And even though website tools are getting better, I see the same problems time and again. So, first of all, if you’re using something to drive people to take an action on your website, maybe from a social media campaign or from a pay per click campaign, don’t send them to your homepage to then have to navigate around. Send them to a squeeze page or also known as a landing page. So, if you want to get somebody to buy something from you or sign up for an email newsletter, send them to a page that has no navigation, nothing else, just the offer. Make the only two things that they can do is fill in their email address or contact information or whatever you want them to do, click on a buy now button, or click the back button, and watch your conversion rates soar. Jason Hartman: Yeah, keep it simple. Rich Brooks: Right. And for your regular website where people might discover from 100 different ways, you still want to keep it very simple. People feel like they need to put every single offer possible on the homepage and nothing could be farther from the truth. And there’s this great study that I often quote. It kind of sums up everything about giving too many choices, and I don’t know if you’ve heard of this but it’s often referred to as the jam study. And the short version is in a high end grocery this research team set up 6 different jars of jam all from the same company but different flavors, a little tasting station like we’ve all seen, and at one point people come up and a certain number of people come up and a certain number of people go and they buy jam based on the taste test. The next time they set it up, they set it up with 24 flavors of jam. Because it’s a bigger display, a lot more people come over. But when they looked at the final numbers, they actually sold less jam than they did with the smaller choices. And so what was found was people were overwhelmed by the number of choices and they were afraid of making the wrong choice. And we’re talking about jam. There’s no wrong choice with jam – it’s all jam. But the bottom line is, too many choices, whether at the store or at your website, are gonna keep people from buying. People say they want choice, but what they really want is guidance. So, think about what people want to accomplish on your website, and make it as easy as possible for people to accomplish that goal. If you want to get people to come to something that you’re presenting on, make that the number one thing on your website. Also, I know especially with authors and with professional speakers, the number 1 thing they’re always thinking of is people are coming to my website to learn more about me. Some of that is true, but the bottom line is everybody is always tuned into the same radio station, WIIFM, “What’s in it for me?” So, if a person who’s looking for a professional speaker comes to your website, they’re not necessarily looking for you as much as they’re looking for somebody who’s gonna make them look good when they hire them. Jason Hartman: Very good point. That’s the meeting planner’s number 1 mantra. Rich Brooks: Exactly. So you want to make sure that you’re answering all their questions. You know probably your audience better than I ever will. What are their biggest problems, what are their biggest concerns, focus on your audience all the time. Don’t make your homepage an about page. So those are some of the things I often talk to people about. I always tell people search engine optimization is certainly not dead. It’s still a very important way of driving new leads to your website, so you want to make sure that you’re using the right keywords, that you’ve put them in the titles, the headers, the body copy, that every page is very specific around and narrowly focused on a topic. Every page on your website is an entry point – people need to remember that. And, also, make it as easy as possible for people to take that step that you want them to take. So, for example, for years, at the bottom of every page on my website, I did something that I recommend everybody do. I had a call to action. A lot of times you get to the bottom of the page, you’re all ready to buy or do something but there’s nothing to do. You get frustrated and go away. People think well obviously they should call me. You should, you didn’t put your phone number anywhere on that page, you didn’t have an email link anywhere on that page, you didn’t tell them what to do. So, they didn’t know what to do, so they left. At the bottom of every page on our website, originally I had a call to action. It might have said something like on our page about search engine optimization. There was like something that would say I want to rank in the first page of search engines. Let’s get started. And that phrase was a link to our contact form which worked really well. But I’m like why am I even making people take that extra step? If they’re ready to buy or ready to make the next step, I should put it right there on the page. So then I replaced the call to action with what I call a quick action form which is basically a really shortened form right at the bottom of the page that basically asks for a few pieces of information so I can get back in touch with them, name, email, phone number, and a comment. It worked so well. In fact, it worked too well. We got so many leads, we could barely handle them. But the problem was they weren’t all the highest quality leads because a lot of people just would throw something out there and then I’d have to track them down. So we ended up actually raising the bar a little bit. I made that form a little longer than I had originally intended, which got rid of some of the people who wouldn’t have been good fits for us anyway, raised the bar just enough that we were getting good, quality leads, that we could follow up with these people, we had a good understanding of what they were looking for. So, some people come to us and they’re looking for something we just don’t offer or that we’re not really good at and there’s either no point in following up or I might send them an email and send them in the right direction, but the bottom line is suddenly we were getting all the leads we needed, but they were all high quality leads. So, another thing you might want to do, whatever your goals are, put that right on the page, make it as easy as possible for people to get in touch with you if that’s your number 1 goal. Jason Hartman: Okay, so a couple of comments, Rich. So, first of all, I agree with you about the jam study. I always say that as a confused mind always says no because that is certainly true. Choices in 3 are kind of the optimum number. Psychologists and marketing people have definitely found that the mind thinks in threes, 3 choices, not more, maybe only 1 choice, make it real easy. Henry Ford, any color as long as it’s black, right? Rich Brooks: Right, although that only worked for him for so long. Jason Hartman: I agree. I’m just making a joke out of it obviously. Rich Brooks: I’ve seen that research before that shows that 3 is about as much as you want. So, if you have 9 choices, you need to group them. You first do 3 choices, and then when they’ve chosen that, then you can give them more selections. Jason Hartman: And you know who does an excellent job of that on their website? It’s Apple. Of course Apple does a good job at so many things, but they do that. They’re working with a high tech product. Unlike other manufacturers, whether it be Dell, Toshiba, whatever, they simplify it, and then they take you down that funnel and then they group the choices and then take you down the funnel into what do you want on this product specifically, so, great points. You mentioned squeeze pages and I agree with you. Are there any good, sort of easy to create squeeze page websites that you recommend? Instead of having to call their web developer and get into a whole big thing and make it complicated since they might have a lot of different offers and need to move quickly on these things, any suggestions there? Rich Brooks: This is my weak spot because I have a team of developers, so I don’t have to think like that anymore, but this is what I would recommend. If you’re a do it yourself kind of person, one tool that I know a lot of web marketers use is something called lead pages. Just Google that, it’ll be the number 1 result, and that’s an easy to use tool to develop a couple of different lead pages. If you’re on WordPress, something that you should check out, and I wish I had the exact names in front of me, but there are a number of paid plugins, I believe they have monthly fees, that are AB split testing tools on WordPress. So, for those people who don’t know what we’re talking about, basically AB split testing allows you to throw up 2 similar pages. And one may be call to action is buy now and save 20%. The other one is buy now and get free shipping as an example. Or, alternatively, when the call to action is at the top of the page, the other one’s at the bottom of the page. What you can do is create multiple versions of the same page and then randomly, as people visit that page, they’ll be served up one version of it, and then you can measure the results. Did the page with the red header perform better than the page with the blue header? And, like I said, I don’t have the names of those right now, but if you are on WordPress, just do AB split testing WordPress plugin and you’ll get right to the sites that have that sort of thing. Jason Hartman: Okay, good. Wrapping up here, any other quick tips that you want to give out? And, of course, give out your websites and tell people where they can find out about the conference and your firm in general? Rich Brooks: Sure. Last tips I would say is I know people always want to hear what’s the newest tip? What’s the newest trick? Honestly, if you want to succeed online, yes you need to pay attention to the new stuff but you also have to pay attention to the classics. You need to start with what your business goals are. Once you get the business goals, then you can start to put together strategies like do I need to build up my list or do I need to do advertising, do I need to do marketing, and then you can work on your tactics like am I gonna start with Twitter or with Facebook or with LinkedIn or what platforms do I need to use? So I would say people sometimes get overwhelmed, but if you go back to your business goals, I think you’re gonna find that a lot of the what platforms and what channels should I use start to answer themselves. Jason Hartman: Very good points. Rich Brooks: Now, as far as my conference goes, my conference is called The Agents of Change Digital Marketing Conference. It takes place in Portland, Maine on September 20th. We’re gonna have about 400 people attend. We’ve got some great speakers, including Chris Brogan, Michael Stelzner who started Social Media Examiner, John Dumas is gonna talk about podcasting – I know you had him on your show recently – Laura Fitton from HubSpot, James Wedmore who does YouTube marketing, great list of people. If you can’t make it to Portland, Maine, we’ve got a digital pass as well, too. I assume, Jason, that you’ve got show notes and we can put those links in the show notes? Jason Hartman: Yes, but give them out now if you would. Rich Brooks: Alright, sure. So, if you go to AgentsofChangeCon.com, you can get the links to this as well. But, after the show, I’m gonna give Jason the discount code that he can use that you guys can save some money. So make sure you make it over to Jason’s show notes and we’ll take care of you there as well. If you get the digital pass, you can watch from anywhere in the world, you can ask live and even ask questions when there are Q & A sessions from your remote space. But you can also watch every single session on demand for a full year after the conference. The tickets are going to be $149 for the digital pass and $249 for the physical pass, but right now they are only $199 for the physical pass and $99 for the digital pass and I’ll even give Jason a discount that he’s gonna share on the show notes, so you definitely want to check that out. Rich Brooks: And you can find me, my business website is Flyte.biz and you can always reach me on Twitter. I’m @therichbrooks on Twitter. Jason Hartman: Well, Rich Brooks, thanks so much for joining us today. Rich Brooks: Thank you, Jason. I appreciate the time.